Mike’s memories from having measles – at the age of five or six – are just as miserable. He says: “I remember being very very ill. Anyone who says the measles is not serious just had never had it. I was in bed in a dark room. My mother was bathing my eyes with milk. I was very, very ill with it.”It was somewhat later when he and his siblings – at that point there were four of them altogether – had chickenpox. Again, he remember it as “terrible” – very, very powerful urge to itch. And “when we couldn’t stop picking the spots we were told not to pick them or we would be scarred for life, but children, we scratched every itch.” They were treated with Calamine lotion – pink and soothing. Harriet as a young girl. Picture provided courtesy of Harriet. at the hospital, the diagnosis was confirmed: measles that led to encephalitis. The cost to her was physical, cognitive and social. youngest will survive her childhood. not the case: fatigue was a separate and additional price of the encephalitis. ‘oh, she was electrocuted?’ That’s too big of a word – she was only nine. seizures before it was decided to use medication. 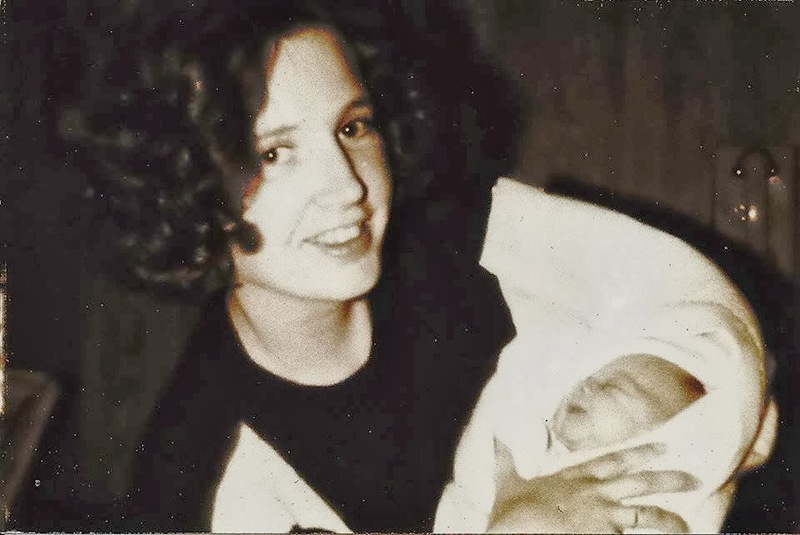 Harriet and her daughter as a baby. Picture provided courtesy of Harriet. to life-threatening, brought here in no particular order. and individual letters act like pixels creating a picture. slump over and freeze” (though she has never actually fallen). These episodes leave her completely helpless. hear the sound of the earplug. flow.” So Harriet has to carefully monitor her blood pressure. debilitating things.” That is one of the reasons she is unable to work. because of responding directly to question (“terminal honesty”)”. nervous system disorder. This means that her body overreacts to situations. encephalitis all her life. Measles leads to encephalitis in about one in athousand cases. and causation is in doubt. Acknowledgments: Thank you to Harriet for sharing her story and working with me on the writing, to Alice Warning Wasney for reading my draft, and to Dr. Nathan Boonstra for his comments and help in understanding the medical issues. his experience with both as quite unpleasant. avid reader, he was not allowed to read, and felt that deprivation keenly. into the paralyzed person’s lungs. was quite strange having the air go in and out with no effort on your part. In high school, there was a classmate who died of meningitis. seeing what he has seen, he does not understand how anyone could be otherwise.